Dedicated to helping consumers make more informed online shopping decisions, STELLAService is the first and only independent provider of customer service ratings for online retailers. Using its proprietary, rigorous evaluation system, STELLAService rates thousands of retailers each year across a broad array of criteria, including usability and online tools, shipping and returns and customer support. ....and STELLAService knows which retailers will get your gifts delivered on time. Just in time for Free Shipping Day, STELLAService released the average shipping times for the top 25 internet retailers. Everyone from Buzzfeed and The Huffington Post to Kiplinger, Boston Globe, and The Budget Fashionista wanted to make sure their readers got their gifts on time! Will your gift arrive by Christmas? 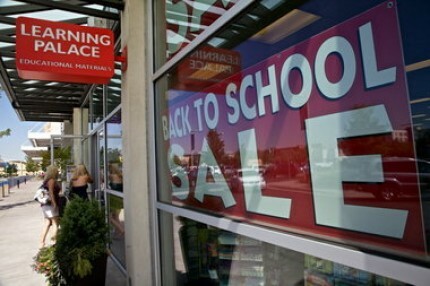 In advance of Back to School shopping season, STELLAService studied just how much money shoppers save by purchasing school supplies on sites such as Walmart.com and Staples.com instead of going to the stores themselves. Their finding: the firm’s mystery shoppers spent significantly more to buy the same or comparable items online as they did offline. Coverage of the STELLAService study included: CNBC, Time, Slate, PCMag, US News & World Report, and Consumerist. As the $83.8 billion back-to-school shopping season kicks into high, a new STELLAService study revealed that while shopping online may save customers some time, a trip to the mall can pay off in savings as well as overall convenience. PKPR secured wide coverage for the study, including an appearance by STELLAService CEO Jordy Leiser on PBS’ Nightly Business Report. Other placements included CNBC, Slate, Time.com, MediaPost, U.S. News & World Report, The Consumerist, and PCMag.com. Next time you’ve got a question while shopping online, think twice before firing off an email if you are expecting a helpful answer. A study by STELLAService found that retailers answer customer emails completely just 54% of the time. There was some good news, however, for shoppers. 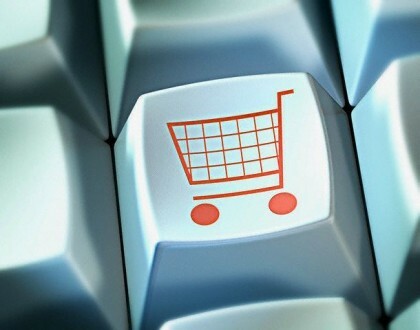 Among the top 25 retailers, LLBean.com answered nearly 90% of customer emails thoroughly. Revealing that many retailers still need to refine their social media manners, one quarter of twenty top brands surveyed failed to respond to customer service questions posted on their Facebook pages, according to a test conducted by STELLAService. PKPR secured an exclusive on the survey on CNN.com and placed stories in numerous outlets including Time, PC World, CNET, PCMag.com, ZDNet, Mashable, Technorati, Entrepreneur, Mediabistro’s All Facebook, Brandchannel, and MarketingVox. STELLAService finished 2011 with a bang, garnering coverage near and far for its studies of the retailers with fastest shipping, call support, and refunds. Wall Street Journal, Lucky Magazine, MSN Money, Time, Aol Daily Finance, Smart Money, Business Insider, SheKnows, Consumerist, and The Street are just of the few many outlets that now turn to STELLAService for insight on consumer trends and news. If you’re flying on Virgin America for the Thanksgiving holiday, be prepared to wait on hold for a long time according to a study released today by STELLAService. The results were highlighted on CNN’s OutFront with Erin Burnett tonight, as well as outlets like Huffington Post, Consumerist, and The Street. Asa Asks STELLAService on NY1 from The STELLA Team on Vimeo. PKPR secured a perfect placement for STELLAService in the November issue of Real Simple (circulation 1.9 million). 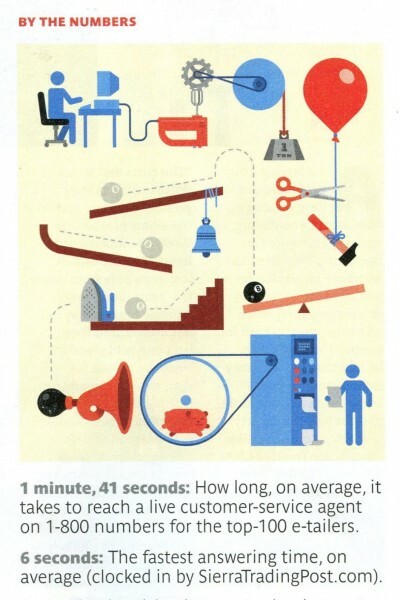 For a seven-page feature on Shopping Smart, Real Simple created the special graphic above to illustrate STELLAService’s research on the retailers with the fastest phone support. Retailers Ditching Automated Phone Menus? A new study released today brings good news for consumers fed up with being forced into the abyss of automated phone menus. 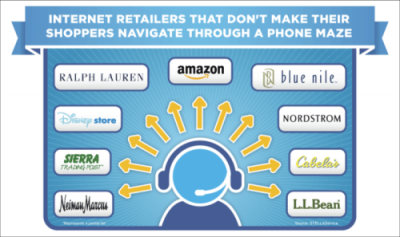 According to the STELLAService study, 21 of the Internet�s top 100 retailers, including Amazon.com, Blue Nile, LL Bean, Nordstrom, and Neiman Marcus, connect callers directly to live representatives, enabling them to avoid the endless maze of music, machines, and menu prompts used by most retailers. The study also reveals that consumers can count on these 21 retailers for significantly shorter hold times. Overall, retailers that force customers into automated phone menus or IVRs (Interactive Voice Response) keep shoppers on hold for an average of 1 minute and 51 seconds, a 117 percent increase over the average hold time (51 seconds) for retailers that do not use automated phone menus. 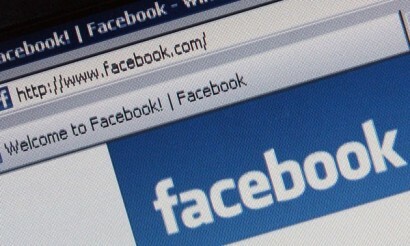 Coverage of the study ranged from Yahoo! Finance (garnering more than 1200 comments and 600 Facebook recommendations to date) and Internet Retailer to Time.com and The Consumerist. STELLAService on Bloomberg TV’s ‘Street Smarts’ from The STELLA Team on Vimeo. OfficeDepot.com and SierraTradingPost.com do not like to make their customers wait, according to a major new study of online retailers released this week by STELLAService, the first independent provider of customer service ratings for online companies. In a survey of the Internet�s top 100 retailers by annual revenue, SierraTradingPost.com ranked first when it comes to the shortest average amount of time that customers have to wait on hold before talking to a live customer service representative (6 seconds), while OfficeDepot.com earned first place for responding to customer emails fastest (48 minutes). PKPR rolled out the announcement by placing an exclusive story with Reuters, which was picked up around the Web - from MSNBC.com to Yahoo! News to FoxNews.com. PKPR also secured segments on business TV networks like Bloomberg Television and NY1, as well as dozens of top online outlets, including Smart Money, CBS’s BNET, AOL Daily Finance, Consumerist, AOL’s WalletPop, Time.com, PC World, The Street, PCMag.com, dealnews.com, Portfolio.com, and Marketing Pilgrim. PKPR is proud to announce that we are now representing STELLAService, the first independent customer service ratings provider for online retailers. To kick things off, PKPR placed an exclusive story in TechCrunch today announcing that the company has raised $2 million in early stage funding. Other coverage including VentureWire, VentureBeat, and WWD. Stay tuned for more exciting news from STELLAService in the coming months, including exclusive rankings of top retailers and new features and tools to help consumers shop smarter online.